Today is my second-last day at Boomerang Books – tomorrow I shall introduce my sensational new replacement! – but until then, it feels very fitting to feature Sheryl Gwyther in my last Very Bookish Questions. Sheryl is a talented, beautiful writer with a deep passion for children’s literature and literacy. She is also a dear and supportive friend. I hope you enjoy this wonderful peek into her bookish world. 1. Which genre of children’s books do you like most and why? Tricky question. I’m like a Will o’the Wisp … slipping between genres to whatever takes my fancy. 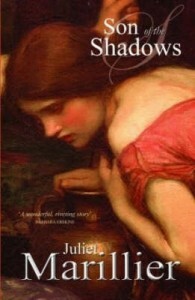 At the moment, I’m into fantasy – YA fantasy, with the books of Juliet Marillier, in particular, Son of the Shadows (glorious, gripping story that I can’t put down). 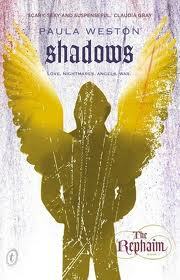 I also love stories for the 9-13 age group – after all, it’s for this age I most love writing. 2. Which books did you love to read as a young child? Adventure, and fantasy too! Like The Secret Seven and The Famous Five, and the Narnia series, The Hobbit, and being a precocious reader that I was, those huge books of James Michener‘s from my mother’s bookshelf – didn’t understand a lot of what was going on in them, luckily! 3. Which three attributes make for a great children’s book? Characters that make you fall in love with them. A plot that never falters. Words that force your imagination into overdrive. Philip Pullman’s The Subtle Knife; Harry Potter and the Philosopher’s Stone by JK Rowling; Neil Gaiman’s The Graveyard Book (suitable for older children). 4. What is your number one tip for encouraging children to read? Show them by example how enjoyable reading can be; read to them and make it interesting; make the weekly trip to the library a time of excitement and pleasure. 5. Name three books you wish you’d written. Ha, that’s easy! As well as all of the above in question three, I choose Michael Gerard Bauer’s The Running Man and Jonathan Stroud’s The Golem’s Eye, and Fox, a picture book by Margaret Wild and illustrated by Ron Brooks – it’s my favourite picture book of all time for its sparse, heart-rending storytelling and for Brooks’ brilliant art work. With an artist eye, I’ve examined with forensic detail the skilled techniques of his mark-making, right back to the ground he laid before he touched it with colour. Brooks is a master of his art. A children’s author from Brisbane, Sheryl writes novels, school plays, short stories and articles for children’s magazines, chapter books for educational publishers, and the odd ‘flash-fiction’ for adults. She’s the Assistant Regional Advisor for SCBWI Qld, and is also on the Board of Directors of the Australian Society of Authors. Her awards include two ASA awards (both before she became a director!) and a May Gibbs Literature Trust Fellowship.